Before his fight begins, he reveals to Jun that despite seeing him hurting Kana, he did not intervene because his sister asked him not to. He also reveals to him a secret that makes Jun start to change his point of view about her, and asks him to watch out for Machi. Kanji's opponent is by far one of the strangest who appeared in the manga as it first launches itself into the sky then lands in a very far away place - Hawaii to be exact, then starts to fire powerful shots to a cannon orbiting the Earth which redirect them at Zearth. After Japan attempts to defeat the enemy with a nuclear bomb and fails, Jun suggests to Kanji to use the lasers to target the enemy. Although Kanji could not directly target the enemy, a human soul could be used as a target, and Seki immediately volunteers. Koemushi teleports Seki and 22 soldiers to where the enemy is, and Seki valiantly reaches the enemy in time for Kanji to fire, thus defeating it. His chair was a folding chair that often spun and flipped when he sat in it. After the victory, Kanji requests Koemushi to teleport him to the top of Chutenro tower where he contemplates who the next pilot will be in his final moments. Kanji's role in the story is far more elaborated in the anime series. Not only he is the son of Yoshikawa Mitsue, a lead researcher with the task of unlocking the secrets behind Zearth's technology, but he also ends up emotionally involved with Anko when her family is shaken by a scandal. It was by his support that Anko managed to gain strength enough to bear with her situation and defeat her enemy, and while he sadly holds her body as she passes out, he has a vision of some mysterious people whom he believes to be the masterminds behind the whole battles they have to fight. 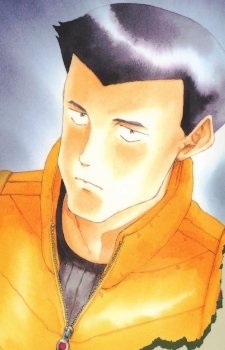 Koemushi at one time, stated to Machi that he chose Kanji to be the pilot for the final battle, but after having some serious discussions with him, especially after he discovered Koemushi's true character, he changed his mind, having him to battle earlier.